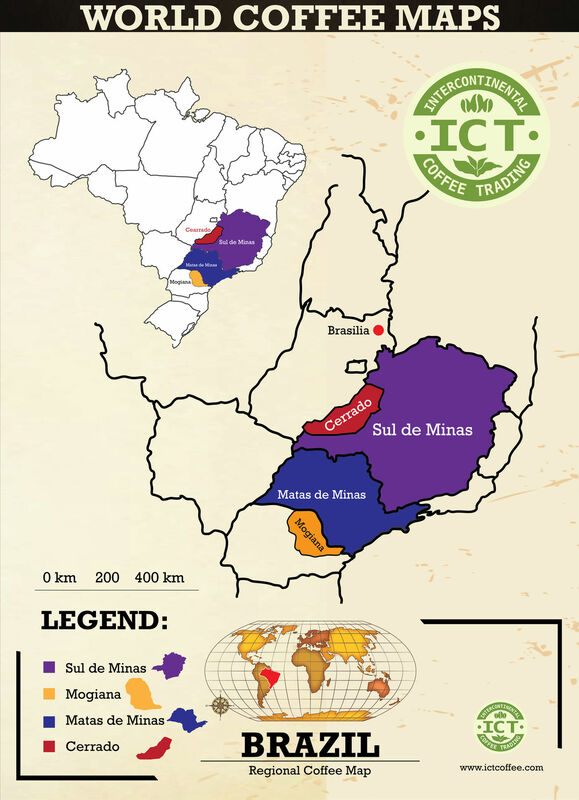 Brazil - Intercontinental Coffee Trading Inc. HARVEST PERIOD: May – September. 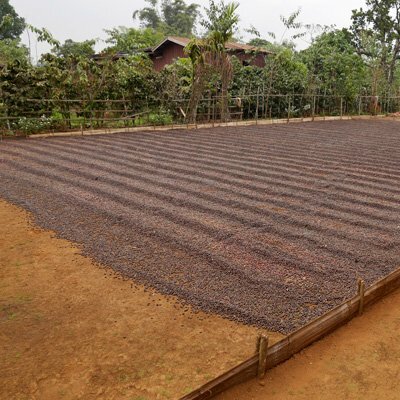 ANNUAL COFFEE PRODUCTION: 50-60 million bags. 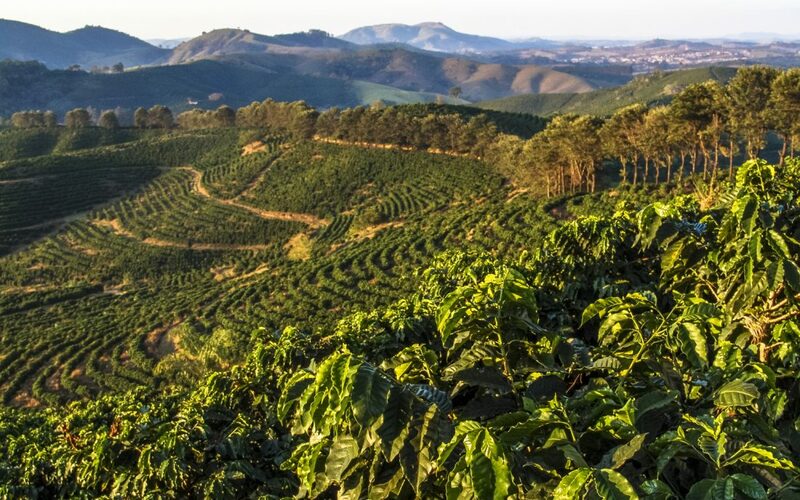 Brazil is the largest coffee producer in the world, with a range that spans the entire quality spectrum. Coffee is produced using both the washed and natural process. Most Brazilian coffee is grown at lower elevations than in most countries. Typically, good Brazilian coffees are low in acidity, nutty and sweet. Brazilian coffees are a major component of many of the most popular espresso blends worldwide. Cerrado is home to many huge coffee estates, usually around 850 meters in elevation. 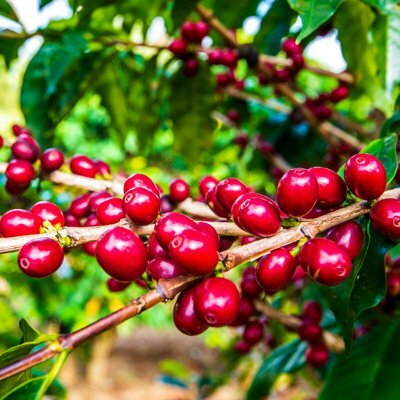 Cerrado coffee is generally clean with a good body and soft mouthfeel. Acidity is usually understated. Nutty notes are common, with caramel and chocolate often noted at darker roasts. Typically pulped natural and natural coffees are produced in this rugged and humid region. 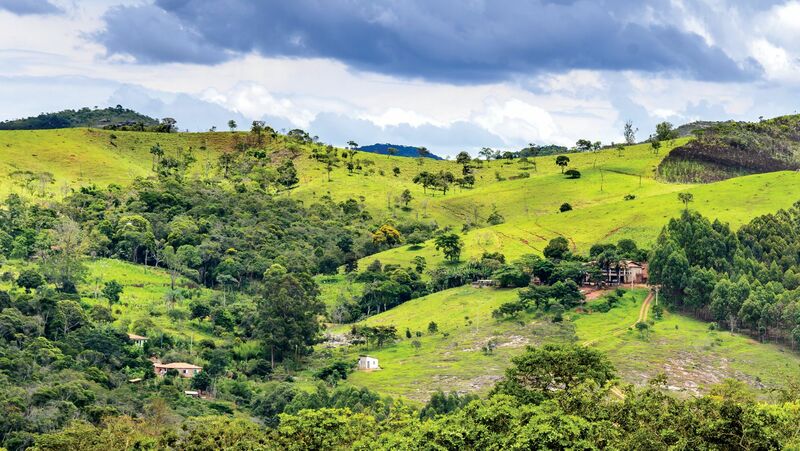 The Mogiana region near Sao Paulo produces lots cleaner and less earthy than most Brazilian coffees. Roasted nuts and chocolate notes predominate. This area is blessed with a mild climate, with ideal rainfall conditions. 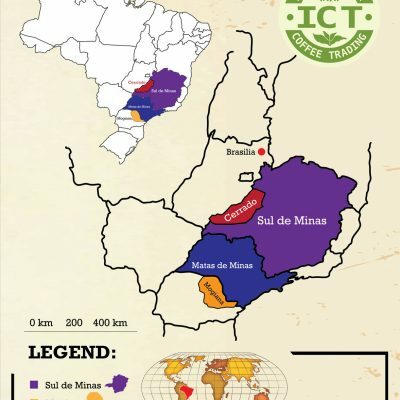 Pulped natural, natural and fully washed coffees are produced in Sul de Minas.